In Figures 10 to 15 the course of a clinical sinus floor membrane elevation using the BLC System is presented with intraoral photographs and panoramic x-ray scans. One week before the surgical operation the patient (Z. E., 43 year-old male) was verbally informed about the operation technique and risks, and also by a letter. On the operation day the patient was in good healthy condition, anamnesis and gross clinical examination did not show any signs of cardiovascular or metabolic diseases; also allergic reactions against iodine or thyroid gland dysfunctions were not known. 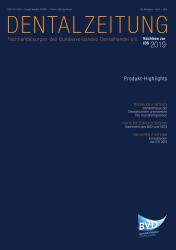 This case report is based upon a speech held at the 36. International Annual Congress of DGZI in Munich on 13th of October, 2006. Placing an implant in the anterior sector of the maxilla with clear indication poses a great challenge in most situations, especially when the patient shows a high smile line and the treatment has been delayed. 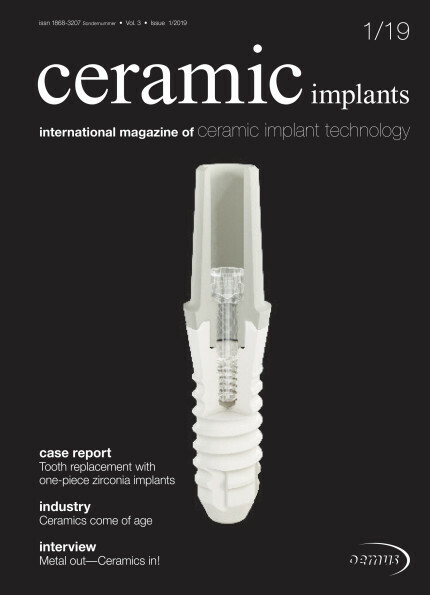 Today, however, osseointegration is no longer the only criterion when assessing the outcome of an implant treatment: The aesthetic result has become just as important. In the following, a passionate mountaineer explains two completely different initial situations after the loss of the upper left lateral incisor, and its replacement. 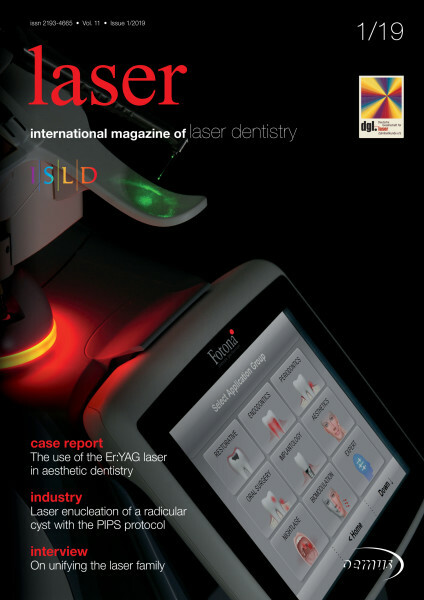 In this case report the sensible combination of a conventional surgical second-stage approach with the use of a Diodeum Laser is shown. The number of dental implant procedures is constantly increasing. 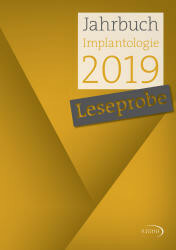 As absolute implantology activities increase, so do the number of older and/or multimorbid patients. Undoubtedly, impaired wound healing is to be taken into account for these patients. 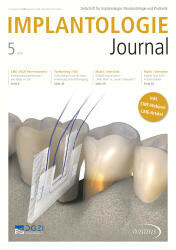 The third Arab German Implantology meeting took place once again this year between April 5 and 6, 2007, in Dubai. It was organized in cooperation with the Emirates Medical Association/Dental Society (comparable to German BZÄK [Federal chamber of German dentists]). The convention s chairman Dr Rolf Vollmer and its scientific chairman Dr Mazen Tamimi welcomed more than 230 participants at Taj Palace Hotel s congress center that was brimming with participants. Participants from an excess of 15 countries, including the Gulf region and other regions attended the implantology event this year as well. The convention of the American Academy of Osseointegration took place between March 8 and March 11 in picturesque San Antonio, Texas. This year s theme was Current implant challenges: interact today to act tomorrowÓ. Board member DrRolf Vollmer and the international DGZI division s representative, Dr Mazen Tamimi from Jordan were present to represent DGZI [German dental implantology association]. Dr Torsten Hartmann from DGZI headquarters in Düsseldorf also attended the convention. 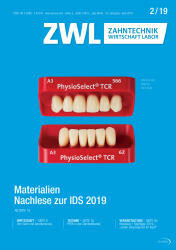 At IDS 2007, Clinical House presented the PerioType implant system for the first time. The system was developed in cooperation with the Fraunhofer Institute, the Academy of Periointegration and international technological partners. 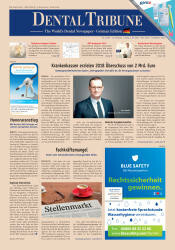 An interview with Dirk-Rolf Gieselmann, CEO Clinical House Europe GmbH.